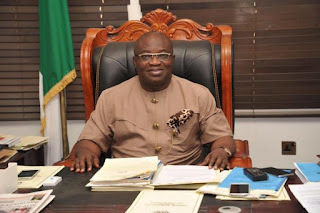 A Federal High Court on Friday declared that the election of Governor Okezie Ikpeazu of Abia State is valid. Justice Ambrose Allagoa made the declaration in his judgement at the Federal High Court in Owerri, the Imo State capital in southeast Nigeria. He was ruling on the matter filed by Mr Friday Nwosu against Governor Ikpeazu, Mr Uche Ogah, the Peoples Democratic Party (PDP) and the Independent National Electoral Commission (INEC), on alleged forgery of tax documents by the Governor. The judge also affirmed that Governor Ikpeazu’s tax documents were not forged. The court ruled that the plaintiff, Mr Nwosu was unable to prove that the tax documents were forged.